I am sure most of you knows how to check Database Replication on Cisco Unified Communication Manager or Cisco Unity Connection. If you don’t know how to check Database Replication, this post will be helpful for you. The below information shared is an example for Cisco Unified Communication Manager, same applies for Cisco Unity Connection, Contact Center Express as well. What are the values which tells how the replication is? How to check Database Replication? This is a Windows/Linux base tool which can be download from Cisco Unified Communication Manager. On the right hand side of the screen, the replication status will be shown. Please refer to the below screenshot. Enter “utils dbreplication runtimestate” and hit Enter > Please refer to the below screenshot. Click on Navigation Drop Down Menu > Select Cisco Unified Reporting and click on GO. 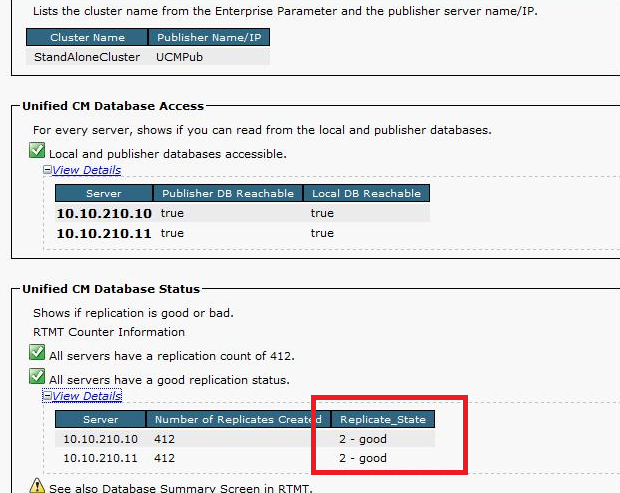 So, if you see the Replication Status value other than “2” means you have a problem with Database Replication.